Heather Crosby says: A simple and refreshing recipe that can be prepared with or without an ice cream maker. 1. Blend together all ingredients except chocolate bar. 2. If using an ice cream maker, chill ice cream mixture in the refrigerator until cold, then process in the ice cream maker according to the manufacturer’s instructions. Once firm, fold in chocolate bar and freeze until ready to serve. I often like to prepare this recipe with leaves from a chocolate mint plant. The best place to find chocolate mint? Grow your own! 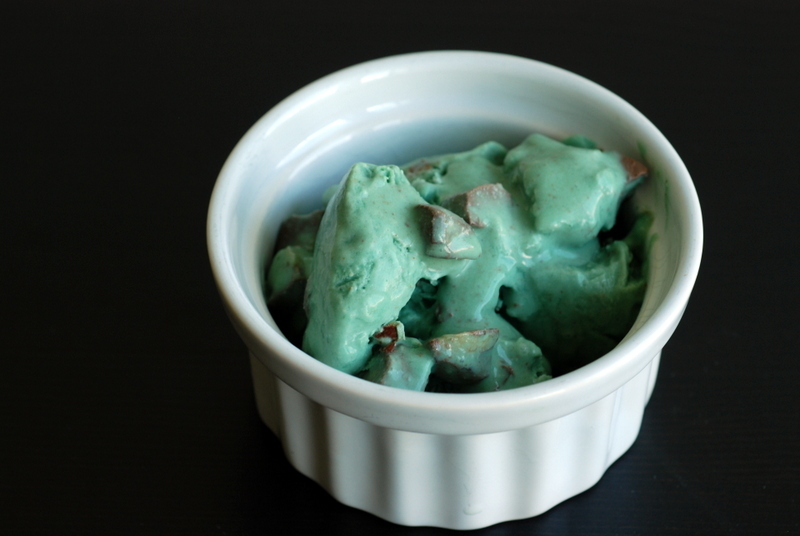 Janet’s note: I added 1 tsp spirulina to make my ice cream green. Be sure to plan accordingly and thaw your ice cream on the counter for 10–15 minutes before serving. Janet’s note: It took longer for mine to thaw and eventually had to microwave it. See more of my tips above. Thanks again for this wonderful giveaway Janet. My favorite ice cream ?! Hummmm…difficult to say but I’ll choose the basic, chocolate-banana ice cream. If we add a hazelnut flavor in it, we are in cadillac….hi hi !! Hi Janet! The ice cream looks delicious! One of my favorite flavors. 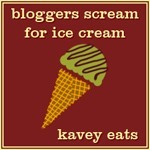 Yes, most Ice creams I’ve found give completely different results when not used in a maker. All the air incorporated while churning really makes a huge difference. Otherwise you have to reduce the water in it. Looks good though and I hear you on the yucky weather in Houston! Oh and p.s. I have a new email system now that didn’t transfer over my WordPress subscribers, so you probably haven’t been getting my new emails. If you still want them, please resubscribe. Thank you! Happy Friday! What a fabulous giveaway! Thanks for doing it. My ice kream, these days, is a frozen banana run through my Omega 8004 juicer. Creamy soft serve, it is easy to dress it up as PB&J (just add a spoonful of peanut butter and one of whatever fruit spread is in the fridge; or dust it with cinnamon; or add peanut butter and cocoa for a peanut butter cup ice kream; or carob powder, shredded coconut and a splash of rice milk for a tropical treat. Sky’s the limit. Thanks for the recipe. I like chocolate and I like mint chocolate chip (lucky me that you did a recipe!). This mint chocolate looks delicious. Vanilla is my favorite flavor because you can add any topping to it. Yesterday I had strawberry and peaches. Yum. Thank you for the giveaway. It looks like a great book! Coconut. There’s something about straight coconut flavor that I have always loved. I’ve always wondered whether someone could make a great apricot ice cream but I’ve never seen one so I guess not. Cookies and cream and cookie dough! hmmm…it would have to be a variation of Ben and Jerry’s chunky monkey with nuts, banana and chocolate! Thanks for the link / shout out 🙂 I know that experience of too hard ice cream and it is always dispiriting! You know there is a tasty dessert in there, but getting it from frozen to edible can be so challenging. It sounds like a great recipe nonetheless, and ditto the collection as a whole. 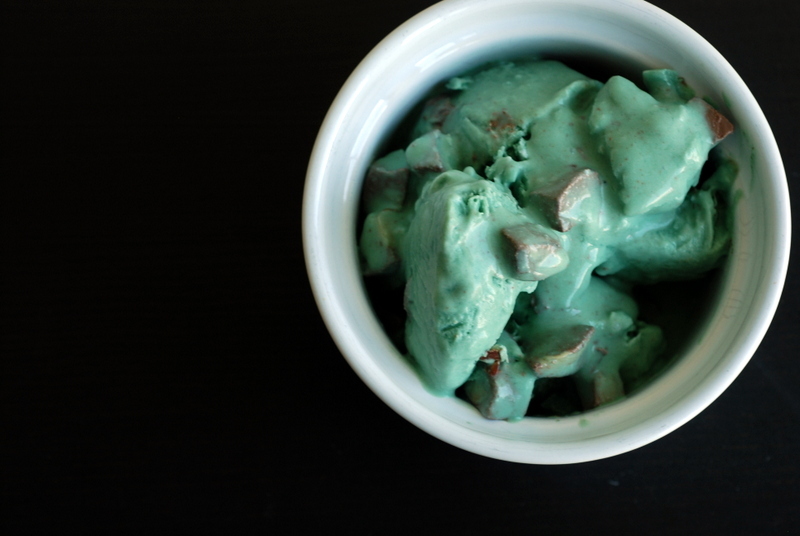 Mint chocolate chip has always been my favorite ice cream flavor since I was a little girl. Cherry Amaretto Ice Cream is my fave. My favourite ice cream flavour is pistachio. Coconut Vanilla with fresh berries. Peppermint is hands down the best ice cream flavour!! Pistachio, Licorice or salted caramel. Vanilla with caramel and chocolate! I’ve been debating whether to get an ice cream maker or not. The food processor seems to do the trick ok. It’s not great, but works in a pinch. This ice cream does sound really good! And so pretty! Thanks for sharing this recipe at Healthy Vegan Fridays! I have pinned it to our Pinterest board. So many ice cream choices…but I pick chocolate as my favorite every time. favorite ice cream flavor – just one? how can that be? “favorite” varies w/ season and mood. cherry chocolate chip, dark chocolate, pumpkin, chocolate peanut butter cup and rum raisin to name a few. Some of my favorites are coconut and coffee. This looks super yummy! I love the idea of adding spirulina to make it green. My mint chip ice cream is always white, and seems confusing somehow. I also love coffee ice cream and everything with chocolate in it, especially chocolate-chocolate chip. Boo to this not working! At least it made for some tasty smoothies? Hi, visiting you via Healthy Vegan Fridays, that looks absolutely yummy, thanks for sharing!